Les Thornton is a retired British professional wrestler who competed in European and North American regional promotions throughout the 1970s and 1980s including Stampede Wrestling, the World Wrestling Federation and the National Wrestling Alliance. During his career, he was considered one of the best junior heavyweights in the world at one time simultaneously holding both the WWF and NWA World Junior Heavyweight titles, and would later hold NWA title five times. 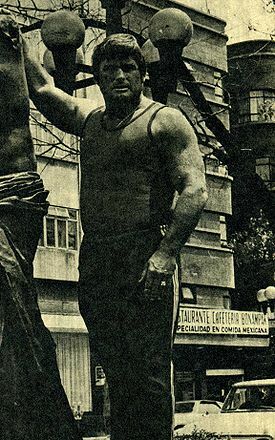 He wrestled in Mexico in 1980 and feuded with Alfonso Dantés. His mexican debut match was in Friday July 13th: Les Thornton, Mil Máscaras & Ringo Mendoza vs. Alfonso Dantés, Gran Markus & Sangre Chicana in Arena Mexico.